Size: 17.5 x 19 cm. - Product Size: 17.5 x 19cm. 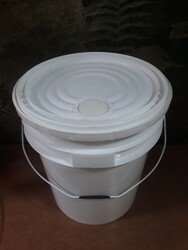 Plastic buckets are available in 3 Ltr to 25 Ltr sizes in Virgin Material. Antique Galvanized Bucket with Mate. Length 10 inch Width 6.5 inch Height 13.5 inch. We are a unique name in the market to provide our honorable customers an exclusive range of Brass Bucket. 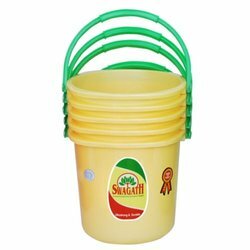 We are one of the foremost suppliers of Brass buckets in the country.